outfit post: old navy shopping spree! 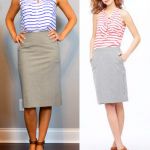 You are here: Home / Uncategorized / outfit post: old navy shopping spree! After lots of work-work-work go-go-go lately – I was surprised & excited when I won an award at work last Friday! It seems like there just aren’t that many awards to be won in grown-up work life (other then salary raises/promotions) so it was pretty fun to win & be recognized for my effort. It’s a new program at my company where if you get one of these awards you get mentioned in a company wide email (my company is huuuuge) and you get go to this internal website and pick out a gift card with some dollar value as your prize. Yay fun! So I went and cashed mine in and got an Old Navy gift card for $100. Woo-hoo! So then on Monday I went to the store and I found a bunch of good stuff! (If you’re interested – you can see the full list, links & prices here of what I purchased.) Sometimes I love everything at Old Navy and others I can’t find a single thing. This trip I found a bunch of cute stuff. 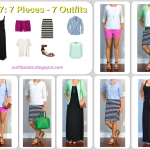 I put together the outfits below with everything I bought except the blue eyelet dress & the pink boat shoes because they were out of my size but I was able to order them and they are on their way. Think this is such a fun pretty dress! I’m in love. Very beach resort or baby shower. Think it’ll be fun to pull colors of the pattern out with cardigans like mint, navy & pink. Love. Yay for stripes. Feel like I should be getting on a sailboat. Basically my favorite. And who doesn’t love wearing clothes that feel like PJs and still looking cute? I think this outfit is fun because it’s so preppy. Pink AND plaid. Scott Disick was the only inspiration photo that was even remotely similar to these clothes that I could find. Boy as inspiration – no problem! I’m always in the market for good basics. I wanted plain dark wash longer jeans that I could wear with heels. These fit the bill. Congrats on the award! It is so nice to be recognized for your hard work no matter where you are in life!The shopping spree was the bonus. I am the same with Old Navy..sometimes find nothing or way too much! LOL! 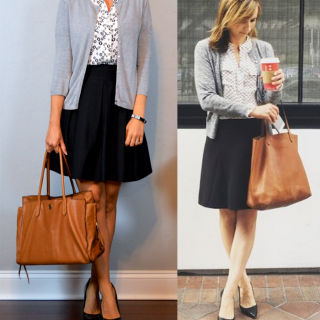 Love the Spring/Summer outfit ideas!May steal a couple as I prepare to start a new job next month! How fun for the award-you deserve it!! I like the blue patterned dress on you- did you see the one I pinned on my dress board? Beautiful dress! And the pink shirt and plaid shorts is so preppy fun! I love Old Navy's dresses this season. I bought the blue strapless eyelet dress, and the red shift dress. But the fit of the shift dress was off (too tight in the chest) so I ended up returning it. The blue looks great on you though!